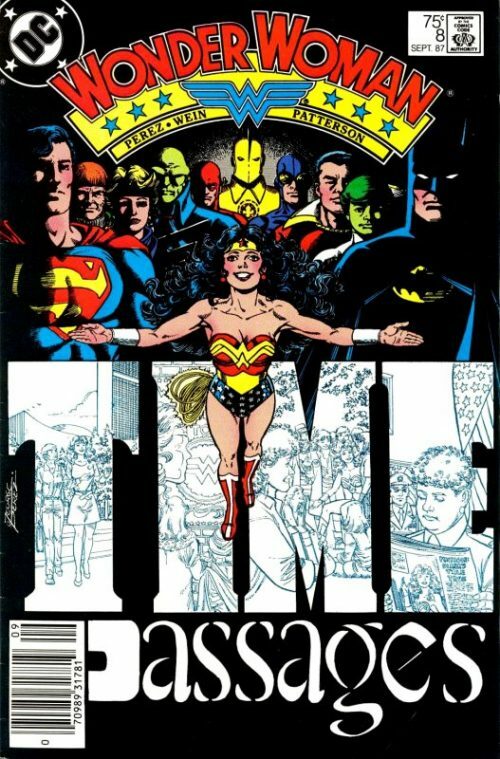 As has already been noted, the editorial team during this arc really had a “bad day at the office” with numerous continuity errors riddling the story. This last issue of the “Lost in Space” arc was no exception, as we suddenly see the alien Sakritt referred to as Sakrett!!!! 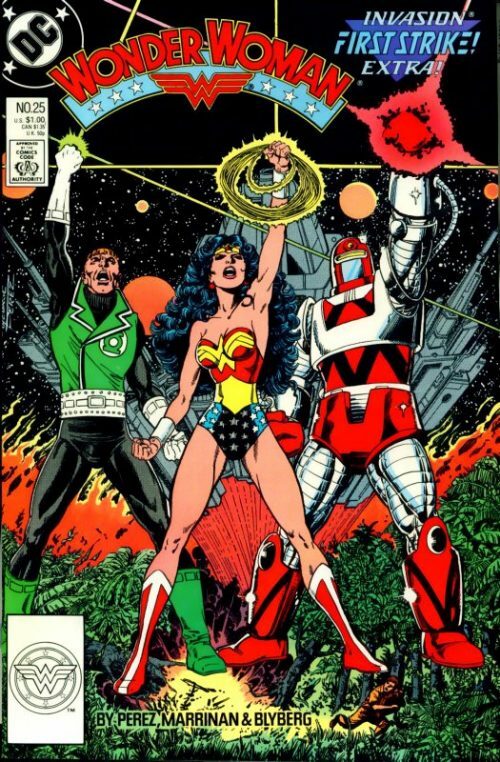 As a side note, one of Diana’s new comrades in the struggle for freedom, the Daxamite female named Julia, makes a brief reappearance several years later in the “Our Worlds At War” crossover story line in issue 172. 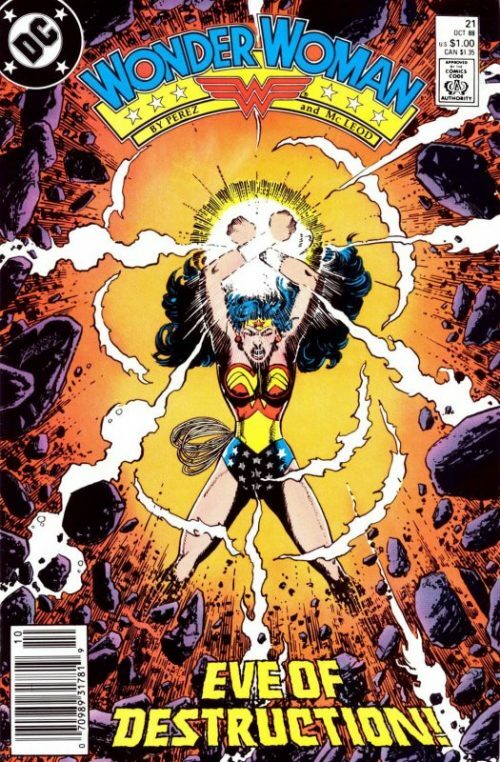 During the initial attack on Earth that results in Wonder Woman being very badly burned, Julia tries to tell a worried Hippolyta that she had met her daughter before and wants the Amazon Queen to know what an inspiration Diana had been to her and the other freedom fighters. 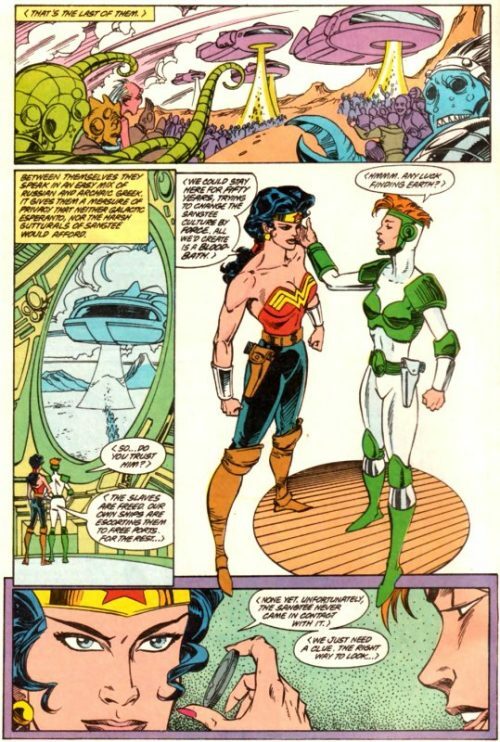 But Julia’s translator device has been damaged and Hippolyta is unable to understand the glowing words regarding her beloved daughter -and who would soon tragically die before being able to speak with Diana one final time. On Earth Julia Kapatelis is writing another letter to her missing friend Diana, a ritual she has done many times as a sort of therapy. She writes that she still thinks of the Amazon princess, even if the rest of the world has decided she must be dead by now. Intrigued, the Emperor asks how Diana had come to “complicate” her existence? The Princess replies that she had been betrayed by a man who had tried to kill her although she knows not why. A short while later Diana and Natasha watch the monitors that depict the final prison colonies being closed down. The cosmonaut asks if she trusts the Emperor. 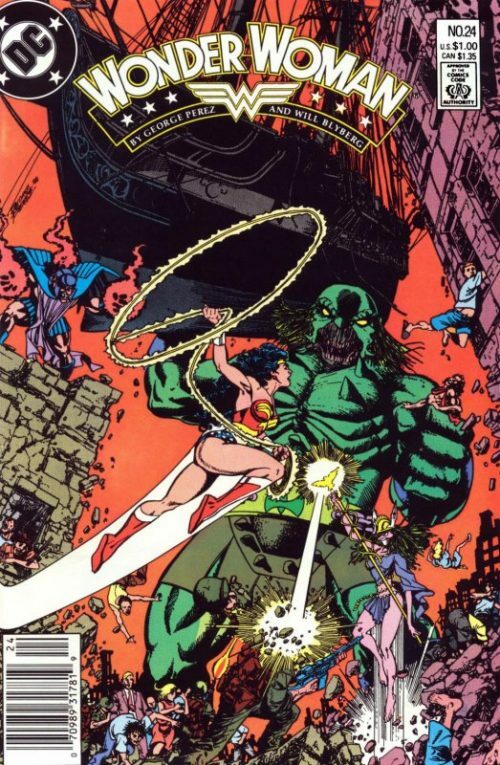 Diana replies that the slaves are free and their own ships are escorting them to safe havens. Ad for the rest, they could both stay here for the next fifty years trying to change the Sangtee culture by force. But all that they would create is a bloodbath. Natasha then asks if Diana has had any luck trying to locate Earth? She is told that unfortunately the Sangtee had never come across Earth in their travels. It looks like they will have to really instead on some luck to find their way home. As for the others in the group, Diana surmises that they will have already started to scatter across the universe back to their own homes. She asks the watching Sakritt what her intentions are. The alien replies that she will leave with Ectreba and act as her counsel. 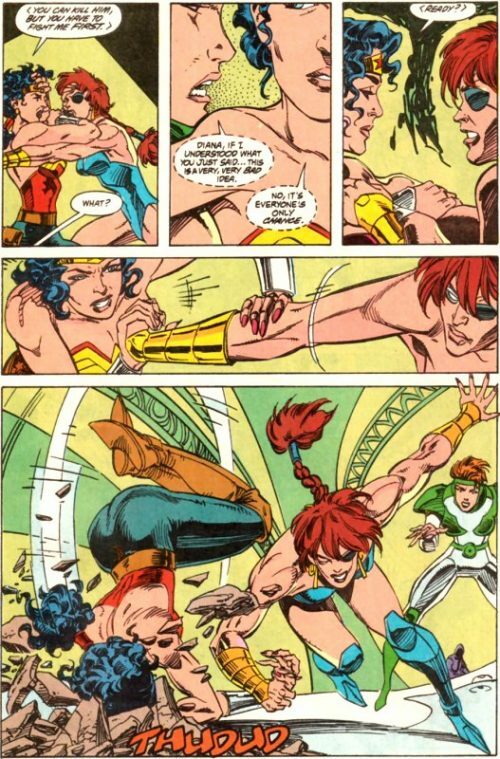 She then reminds Diana that their truce pact is over and that she should continue to watch her back. 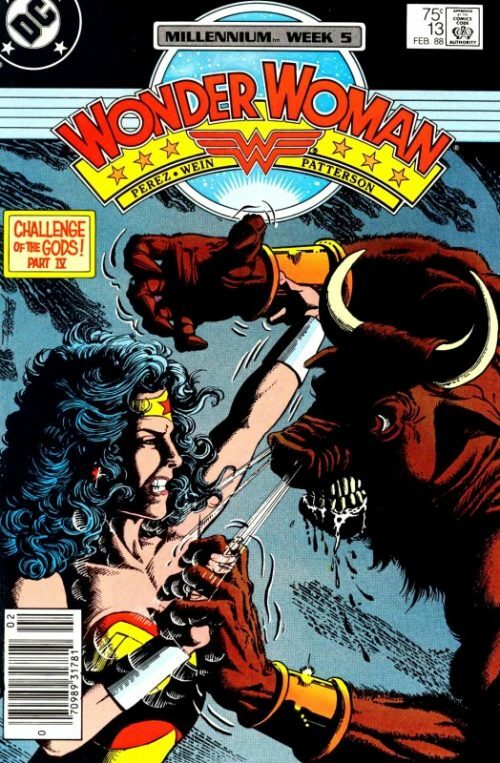 Diana nods in understanding and then asks what of Julia, the Daxamite. Will she be accompanying them? Sakritt replies that her race is dead and after what the Sangtee put her through, she fears Julia’s mind is deranged as she speaks only gibberish. She then turns to face Julia and says that the Daxamite will have to fight her first to get at the Sangtee officer. A worried Natasha whispers into Diana’s ear that this is a very stupid thing but the confident Amazon replies that this is everyone’s only chance. A short while later Diana and the Emperor are walking down the corridor together. The Emperor says that she had heard what the Amazon had done to save the Sangtee officer and thanks her. Diana replies that none of them will be helped by vengeance at this stage. “Ah, feminine mercy” replies the Emperor. She adds that it has been so long since the Sangtee had allowed the existence of a second gender and asks what it feels like to be a woman? “Good. It feels good” smiles back Diana. A short while later at in the Sangtee teleportation chamber, Natasha and Diana listen as H’Elgn explains that the station will beam their molecules across space to the destination. They ask if the alien knows where to aim them and they are told that between what the Daxamite has revealed about Earth and what little was recorded in the Sangtee records, they are confident that they have the correctlocation. As Diana begins to try and say thank you to the alien, H’Elgn rushes off to make “more computations” and the Amazon Princess sadly resigns herself to the fact that they are pulling free of her influence. Ectreba will become captain now. Diana is simply no longer wanted or needed. She tells Natasha that they are the only two humans the aliens have ever – or will ever – see. And tomorrow, once they have departed, they will seem like a dream to the others. It must be galling for them to owe anything to a mere dream. Just then one of the group walk up and asks for their presence in the Envoy chamber. Sakritt needs to speak with her. As they make their way Natasha comments that the chamber is the largest room in the palace – what is going on? Diana muses that this is clearly some scheme of Sakritt’s but for what purpose she knows not. But as the large doors open and they step inside Diana is aghast to see everyone waiting for them, smiling. Sakritt steps forward and on behalf of the freed slaves explains that they are here because without Diana they would be a field of anonymous corpses in the mud. She had found them as thus and freed them. And not just that. Taught them to free themselves. 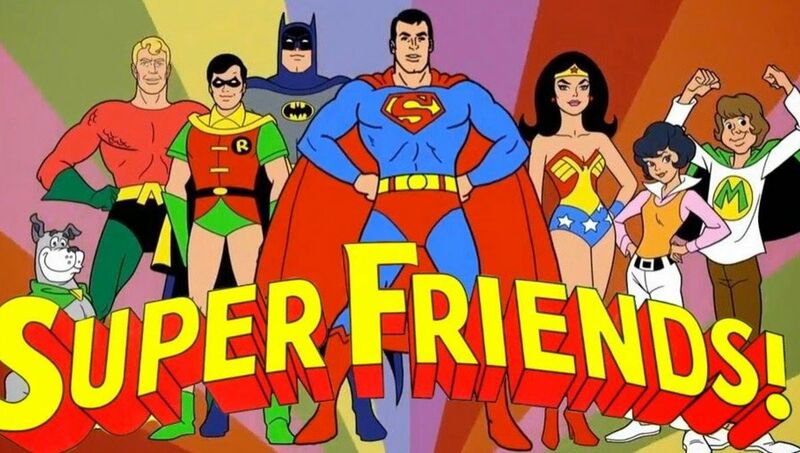 “You are the finest captain and the finest friend, we shall any of us know. Do not forget us.” As one they all raise their arms in salute, as a deeply touched Diana smiles, barely holding back the tears…. Back on Earth Julia begins writing her final letter to Diana. She writes that she has never sent any of the previous letters she has written but that just the act of doing so was cathartic…and made her feel that the Amazon Princess was somehow still alive. Seasons have come and gone and Julia knows that Diana would have been in contact by now if she could. It is time for Julia to face facts. She continues to write, detailing how the kitten Diana once rescued has now grown up, that Vanessa is doing much better at school, her grades are up and she has made friends too. It seems like she is trying to do everything she can to make Diana proud of her. 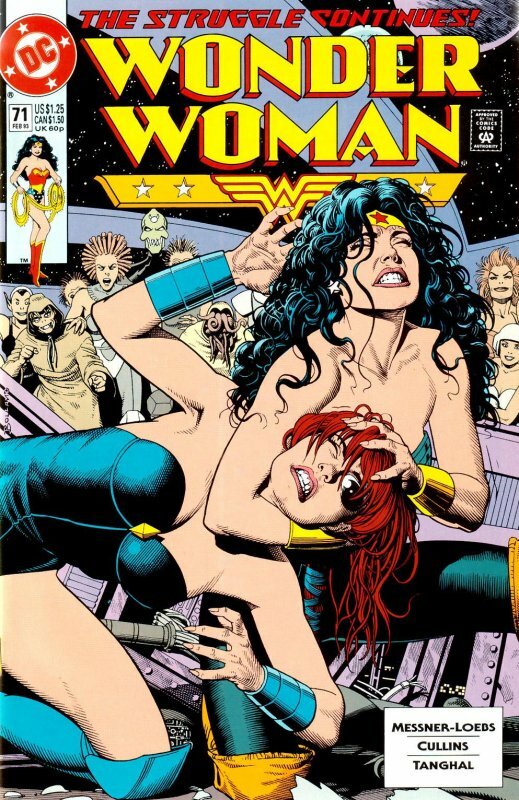 Julia continues that initially, Vanessa had taken Diana’s disappearance personally – as if she had been abandoned by the Amazon Princess and seeing it as a betrayal. But then she seemed to go into deep sadness. Julia had thought that after all months that have passed her daughter had perhaps now got over her “grief” but about three weeks ago Julia had walked into Vanessa’s bedroom to find the young girl just sitting there…staring into space. “I guess we all say goodbye in our own ways” she adds. Meanwhile across town on the roof terrace the phone rings and Cassie answers it. She listens intently before standing up and making her excuses to Randolph. When he asks what is up, she replies that there is breaking news from Russia about a female cosmonaut who had suddenly materialised in Red Square, claming to have been lost in space for two years. Randolph sits bolt upright in shock! Back at the Kapatelis residence, Julia wraps up her letter by writing that although this will be her last ever corrspondence to Diana, she wants the Amazon Princess to know that she always saw her as a second daughter. She loves Diana deeply but she has finally reached the point where she has to let go….and just accept Diana’s death. 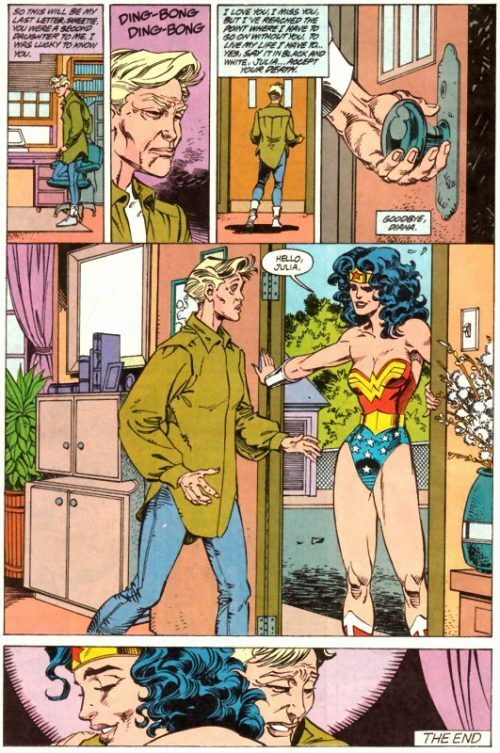 Just then the doorbell rings and when Julia opens the door she can only stare in stunned amazement at the figure of Wonder Woman smiling back at her. “Hello Julia” says Diana. And the two friends hug each other warmly, weeping tears of joy..